Sitting awkwardly alone on a bench in Toronto’s Pearson International Airport, I was still not sure what to expect from my semester abroad. Even though anyone who has ever studied abroad will wax lyrical about how much they enjoyed the experience, it’s impossible to not worry about such a long commitment. But what if it all goes wrong? I knew very little about what was to be my new home; some of my friends didn’t even think it was a real place (“Guelph? That sounds like a medieval sword, or something). My fears were allayed within about 10 minutes of being pointed to the collection point in the airport, where a collection of less-uncomfortable exchange students sat. We struck up conversation easily and, within no time, we were in Guelph. The first few days of my stay at Guelph were dedicated to the brilliant START International, a special orientation session for exchange students where we got quickfire introductions to the University, the city of Guelph, Canadian culture, and each other. I’ve never been one for the awkward “get-to-know-each-other” games and exercises such as they put us through – but kudos to the great bunch of people at Guelph who managed to mix it up over that week. They helped me make a great group of friends in short time, and since then I’ve been in a whirlwind of good times. START International was followed by O-Week proper, at which point the University started to become a hive of activity. This brought the Pep Rally, Homecoming football (gridiron, naturally), and (for better or worse) the beginning classes. Drat. 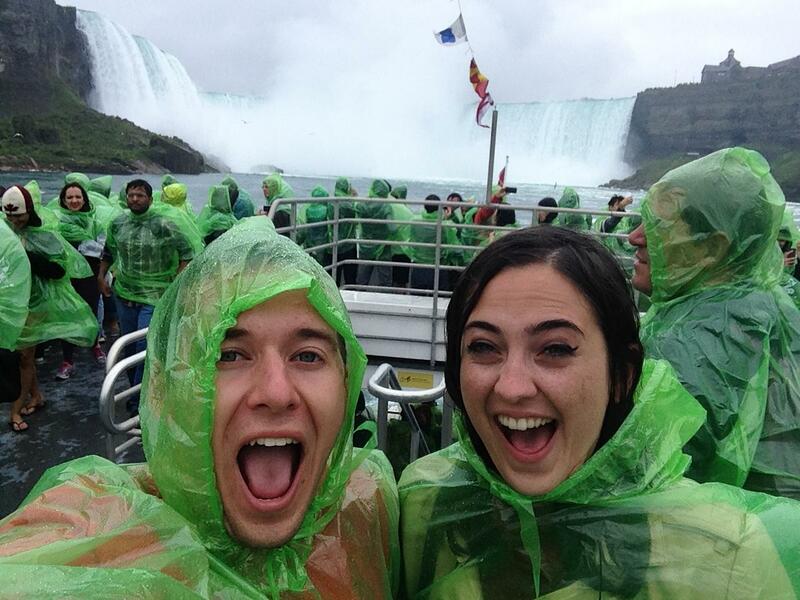 Amongst all this action though, we had time for a trip to Niagara Falls – which, despite being a bit wet, was a great day out. It’s full of Canadians – go figure. But Canadians are a great bunch of people – easygoing, friendly, fun, diverse, welcoming – and they really like hockey. Like, a lot. The social life – Despite being a pretty small place, Guelph has a good party scene with a load of different places to go out. They’ve got live music, a country bar, lounge bars, funk nights, and the infamous Palace – complete with a cage to dance in. Seriously. The university culture – Not all UoG students live on campus, but a lot of them moved here to study, and so the university is very important to them – a home away from home. There have been some amazing displays of support for Guelph – at the homecoming football game (unfortunately washed out in a deluge) and the (awesome) Pep Rally! The city – Guelph isn’t particularly big, but it’s got a well-developed bus network – completely free to use for students, as well! The food – The University has a pretty good range of eateries on campus – my favourite is the pub, Brass Taps (they make some killer wings) – but there’s a variety of pretty darn good food at very reasonable prices. The Arboretum – the Arboretum is a park spanning several hundred acres, right next to the University (behind East Village, where I live). 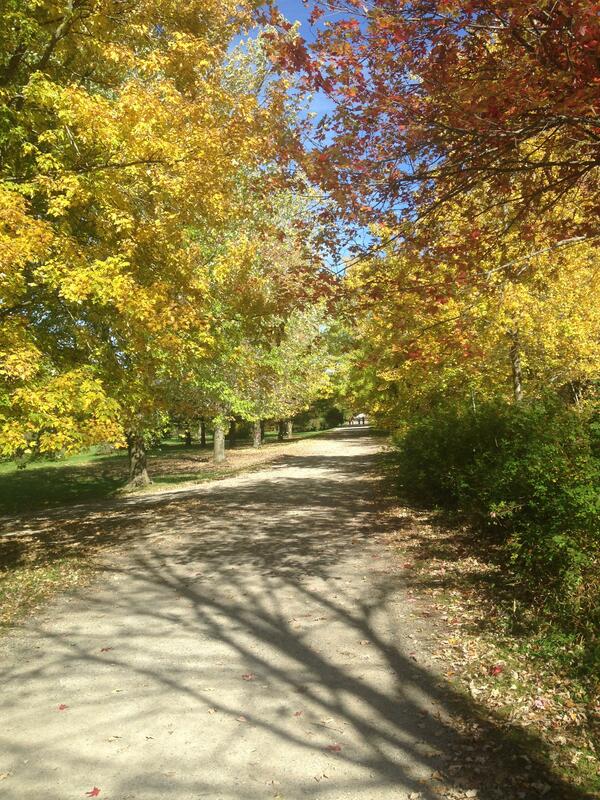 It’s a great place to visit during the day for a quiet stroll, and with Fall approaching, it’s looking spectacular. All in all, I’m loving my new home so far – and I can’t wait to see what else I’ll experience here. 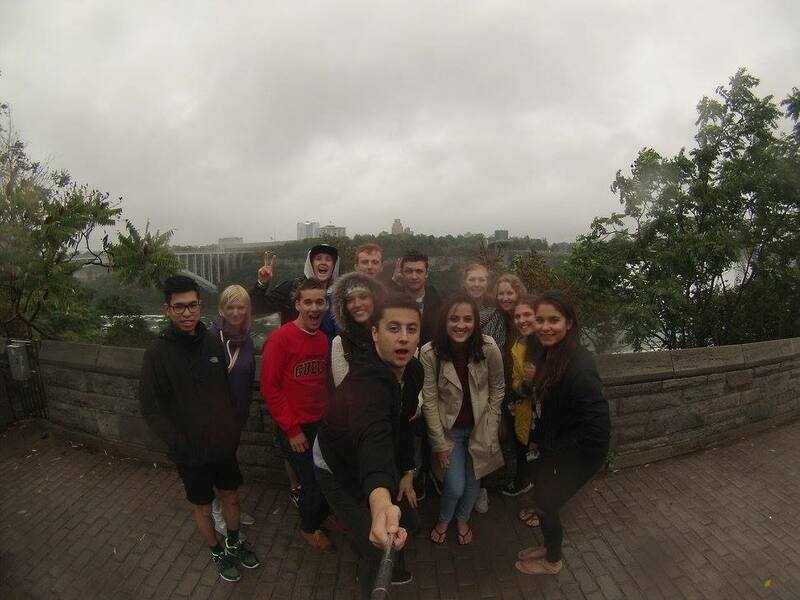 This entry was posted in Canada, Exchange, Faculty of Sciences, North America, Student Blogs and tagged Canada, eh, Exchange, Faculty of Sciences, Guelph, hockey, ice hockey, List, Niagara Falls, o-week, University of Guelph. Bookmark the permalink.